A dazzling literary thriller - the story of Sigmund Freud assisting a Manhattan murder investigation. Think SHADOW OF THE WIND meets THE HISTORIAN. 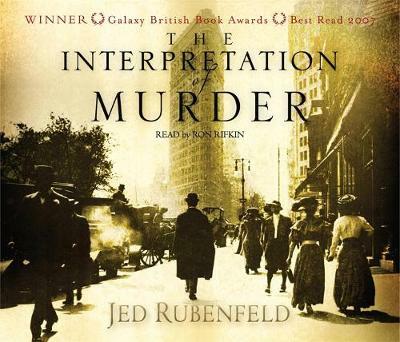 THE INTERPRETATION OF MURDER is an inventive tour de force inspired by Sigmund Freud's 1909 visit to America, accompanied by protege and rival Carl Jung. When a wealthy young debutante is discovered bound, whipped and strangled in a luxurious apartment overlooking the city, and another society beauty narrowly escapes the same fate, the mayor of New York calls upon Freud to use his revolutionary new ideas to help the surviving victim recover her memory of the attack, and solve the crime. But nothing about the attacks - or about the surviving victim, Nora - is quite as it seems. And there are those in very high places determined to stop the truth coming out, and Freud's startling theories taking root on American soil.